Indianapolis, Indiana – Trademark attorneys for Plaintiff The American Automobile Association, Inc. (“AAA”) filed a trademark lawsuit in the Southern District of Indiana. Two Bloomington Defendants are named, AAA Automotive Parts and the company’s owner. Defendants also do business as AAA Automotive & Truck Parts, and d/b/a AAA Automotive Parts. Defendants own and run a website, TRIPLEAPARTS.COM, on which they advertise automobile-related goods and services. Defendants also have brick-and-mortar shops in Indianapolis and Griffith, Indiana as well as locations in Missouri and Florida. 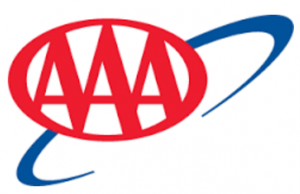 AAA seeks damages and asks that those damages be trebled pursuant to 15 U.S.C. § 1117 and Indiana law. It also seeks equitable relief, costs and attorneys’ fees. and assigned Case No. 1:16-cv-02890-WTL-MPB.